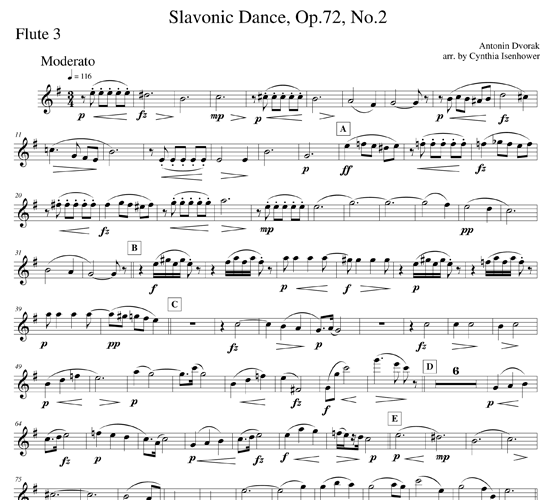 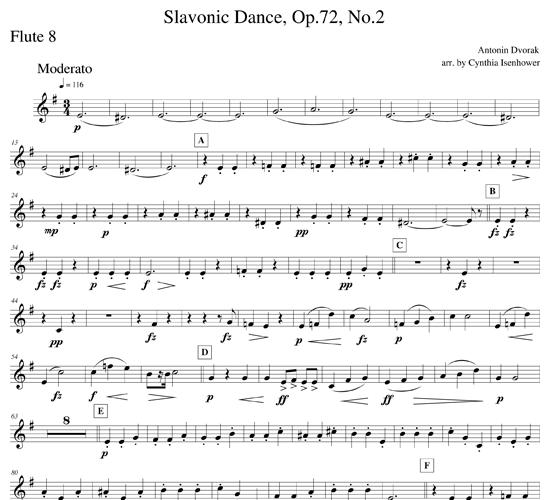 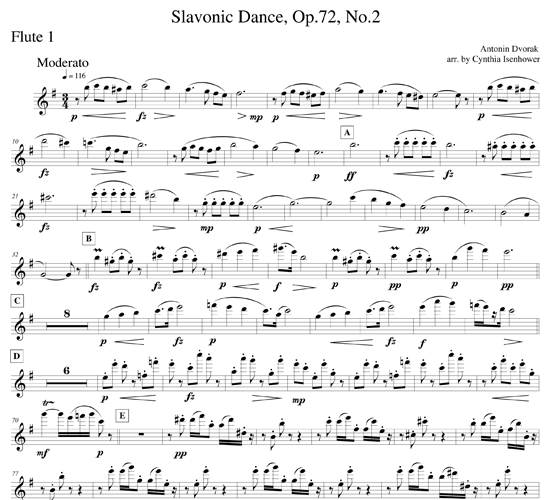 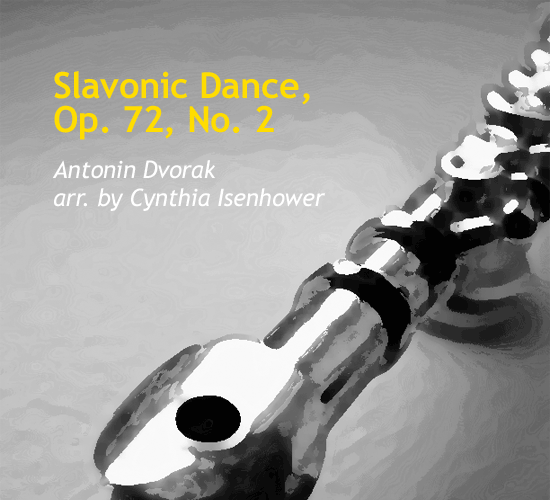 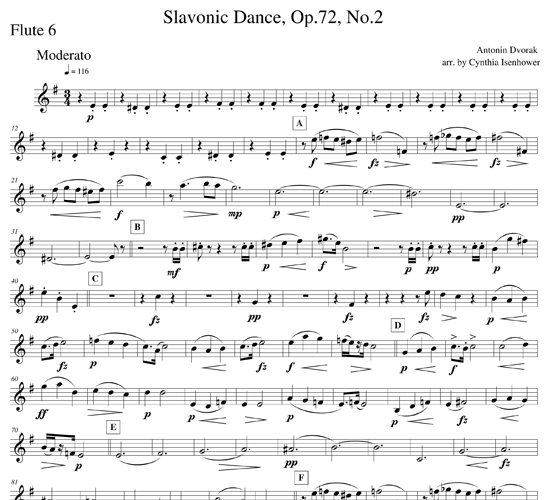 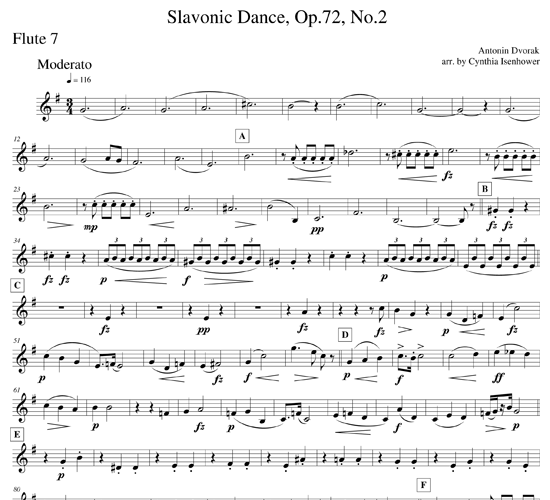 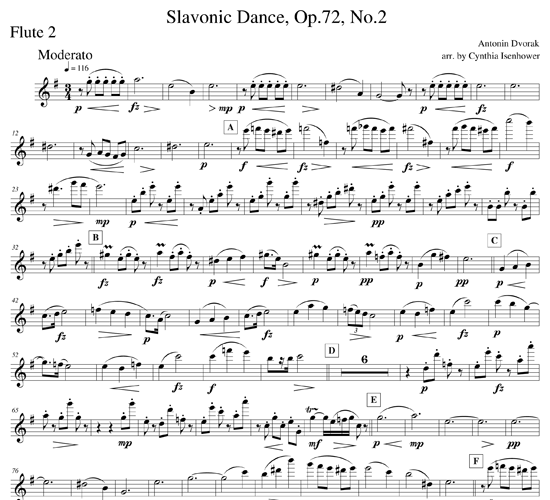 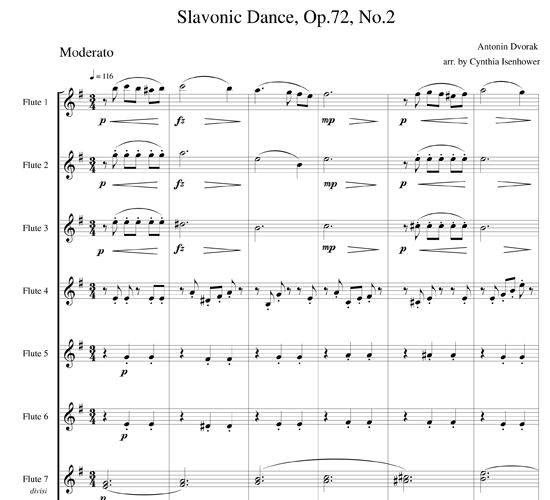 The Slavonic Dances are a series of 16 orchestral pieces composed by Antonin Dvorak in 1878 and 1886 and published in two sets as Opus 46 and Opus 72 respectively. 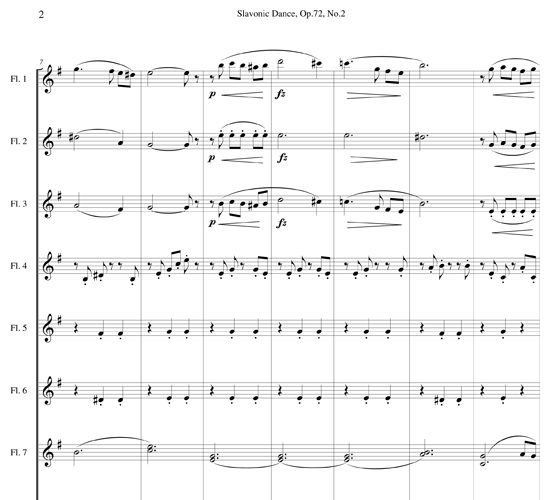 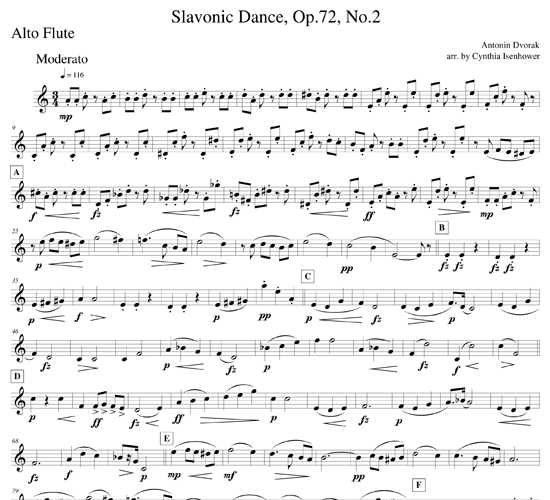 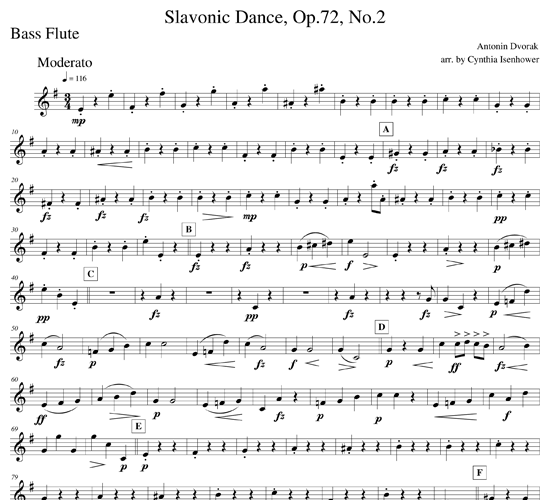 Originally written for piano four hands, this “Slavonic Dance, Op.72, No.2” is arranged for flute choir and was inspired by Johannes Brahms's own Hungarian Dances. 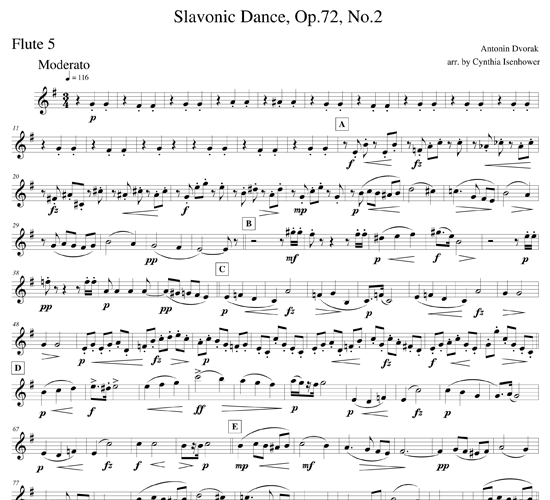 The pieces, lively and overtly nationalistic, were well received at the time and today are among the composer's most memorable works.